I frequently work out of town for weeks at a time, if I am "out" I will send out orders and return emails when I return. ​I've just launched a Kickstarter for a number of miniatures sculpted by Ana Polanscak (of Gardens of Hecate blog fame). If you're a fan of old school Warhammer or weird dark fantasy miniatures, please check it out! ​Sounds like the postal workers have been forced back to work, so postage should be back to normal. ​Please be aware that there may be delays with delivery due to the Canada Post rotating strike. Finally got the master casts in of The Devolved, and spent some time getting them painted. Summer sale! I'm off the next two weeks so thought I'd run a sale! 25% off with the coupon Summer25 until July 3rd. Did a bit of playtesting to try out some new rules and iron things out. Just launched another Kickstarter! This time for some gribbly "devolved" miniatures - ten new sculpts, in the line of "The Changed" minis. All miniatures from the Kickstarters are all up on the store now! I do have some of the acrylic ritual circles still, and will have them up on the site for sale eventually. 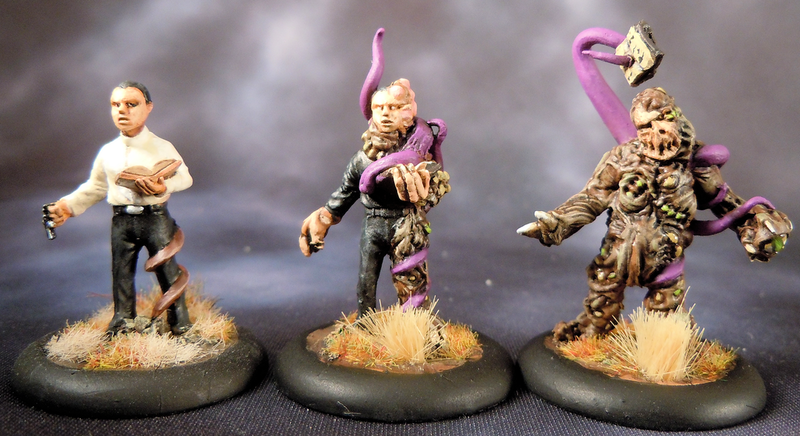 Finally started putting up the Lovecraft Circle miniatures from the last few kickstarters. Check them out in the online store. I should have most of them up there by tomorrow. All of the Ex-Tengu Kickstarter pledges have shipped! I have launched a new Kickstarter in order to cast the excellent miniatures I picked up from Tengu Miniatures. Please support if you like Tcho-Tcho, 1920's zombies, and zombie clowns! All of the Cultist Kickstarter pledges have been mailed out! 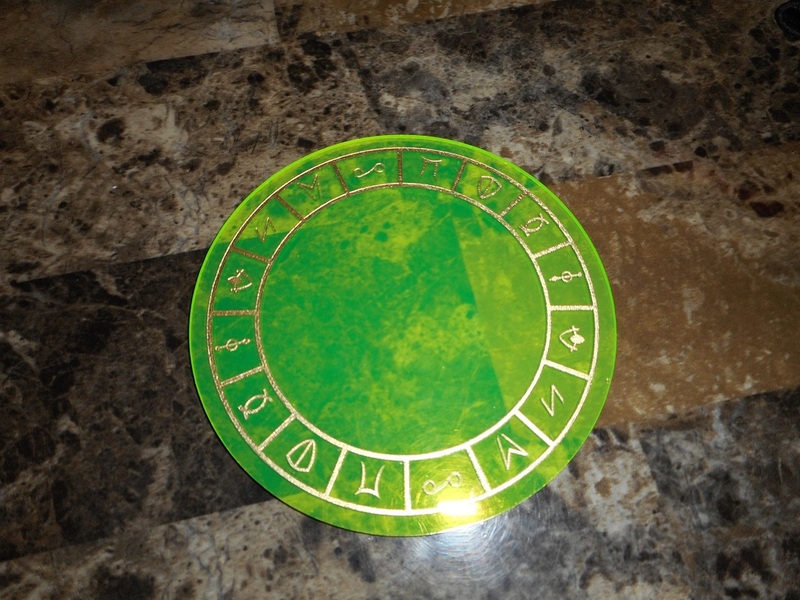 One of my cultist kickstarter backers, Kenny, tried out spraypainting over the protective paper on the ritual circles and this is how it came out - love it! I'm running a quick sale in May! 20% off everything in the store with the code MAY20 until May 17th. Just added the Sinbad-themed miniatures to the online store that were included in my first Kickstarter! Kickstarter funded!!! 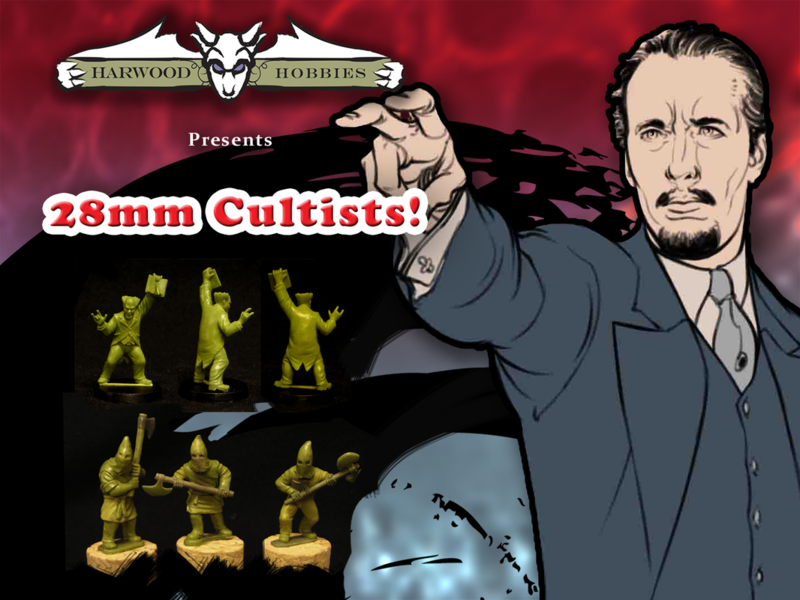 Thank you everyone who backed me to make some cool cultists! I have just launched the cultist kickstarter!!! Okay, I didn't realize it had been so long since I updated this. Big news though - the next kickstarter is almost ready to launch! The kickstarter just reached its goal!! Woo! Thank you everyone who pledged! ﻿ I have just launched the Harwood Hobbies kickstarter! I am hoping to raise enough to get the next batch of miniatures cast up. I have had these sculpted for a while, but haven't had the funds to get them cast. Any help you can give will be very much appreciated! Welcome to the new Harwood Hobbies website! And of course I put it up online a few days before I head out of town for two weeks. I'm also working on the kickstarter campaign right now - I have a number of miniatures that I hadn't put into production all ready to go from years ago! So I have finally decided to put them up on kickstarter to get the funds in order to get them cast. Have a look at my blog to see some previews of the miniatures!